Garth Brooks in Montreal or Quebec City? Inform me about the next events for Garth Brooks. Enroll yourself to our priority waiting list for Garth Brooks to be alerted when new tickets are available. Filling this form doesn't engage you to any purchase. 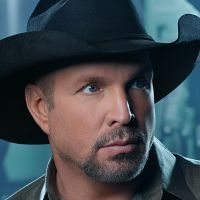 Garth Brooks will be performing at the Canadian Tire Centre, in Ottawa, on April 1, 2 and 3, 2016, alongside Trisha Yearwood. Country music fans are in for a treat as the world-reknowned superstar will be visiting Ottawa for the first time in more than 19 years. Garth Brooks is currently promoting his ninth album, Man Against Machine : his first new album in 13 years.